Dr Maia Sauren is often preoccupied with science education, diversity in technical fields, open information, and how emerging software interacts with science and biotechnology. 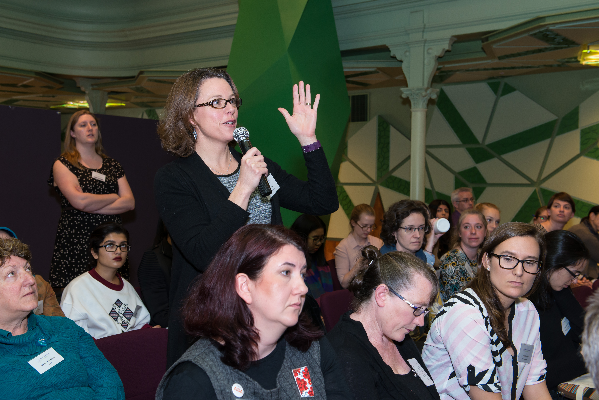 Maia was co-chair of Open Knowledge Australia, a not-for-profit organisation dedicated to helping individuals and organisations share data, information and resources. She has been heavily involved in forming the Open Knowledge community in Melbourne and beyond. In 2013, Maia started HealthHack, a weekend hackathon bridging the gap between scientists and software technologists, that has since grown into a national annual event. Maia has also been an executive committee member of Australian Science Communicators, and has been involved in science communication in various media. Her PhD from RMIT University was determining the effect of anatomic variations on radiofrequency compliance of mobile phones. Maia is a Business Analyst, Iteration Manager and Agile Coach for ThoughtWorks, an international software consultancy. Most recently she was part of an international team customising an open source medical records system for use on tablets, as part of the Ebola response in Sierra Leone.